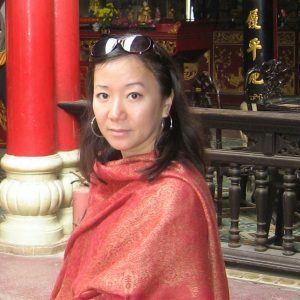 Lien-Hang T. Nguyen, Dorothy Borg Associate Professor in the History of the United States and East Asia, specializes in the Vietnam War, U.S.-Southeast Asian relations, and the global Cold War. Professor Nguyen is currently working on a comprehensive history of the 1968 Tet Offensive for RandomHouse. She is the general editor of the forthcoming Cambridge History of the Vietnam War, 3 vols., as well as co-editor of the Cambridge Studies in U.S. Foreign Relations. National Endowment for the Humanities Public Scholar Grant, 2016. Society for Historians of American Foreign Relations Stuart L. Bernath Memorial Lecture Prize, 2015. Society for Historians of American Foreign Relations Stuart L. Bernath Book Prize, 2013. Society for Military History Edward M. Coffman Prize for best military history manuscript, 2012. Henry Chauncey Jr. ’57 Postdoctoral Fellow in Grand Strategy, International Security Studies, Yale University, 2009-2010.
International Seminar on Decolonization Fellow, National History Center, American Historical Association, Summer 2009. John M. Olin Postdoctoral Fellow for Military History and Strategy, International Security Studies, Yale University, 2008-2009. John M. Olin Institute for Strategic Studies Pre-doctoral Fellow, Weatherhead Center for International Affairs, Harvard University, 2005-2006. Center for International Security and Cooperation Pre-doctoral Fellow, Freeman Spogli Institute for International Studies, Stanford University, 2004-2005. Hanoi’s War: An International History of the War for Peace in Vietnam (Chapel Hill: University of North Carolina Press, 2012). Tet 1968: The Battles that Changed the Vietnam War and the Global Cold War (New York: Random House, 2018). Cambridge History of the Vietnam War, 3 vols. (New York and Cambridge: Cambridge University Press, forthcoming). “Revolutionary Circuits: Toward Internationalizing America in the World,” Diplomatic History 39, Issue 3 (June 2015): 411-422. “1968: Negotiating While Fighting or Just Fighting?” in Eds. Pierre Journoud and Cécile Menétrey-Monchau, Vietnam, 1968-1976: Exiting a War (Brussels: Peter Lang, 2011). “The Vietnam Decade: The Global Shock of the War,” in Eds. Niall Ferguson, Charles Maier, Erez Manela, and Daniel Sargent, Shock of the Global: The 1970s in Perspective (Cambridge, MA: Harvard University Press, 2010). “Waging War on All Fronts: Nixon, Kissinger, and the Vietnam War, 1969-1972” in Eds. Fredrik Logevall and Andrew Preston, Nixon in the World: American Foreign Relations, 1969-1977 (New York: Oxford University Press, 2008). “Cold War Contradictions: Toward an International History of the Second Indochina War, 1969-1973” in Eds. Mark Philip Bradley and Marilyn B. Young, Making Sense of the Vietnam Wars: Local, National and Transnational Perspectives (New York: Oxford University Press, 2008). “Sino-Vietnamese Split in the Post-Tet War in Indochina, 1968-1975” in Eds. Sophie Quinn-Judge and Odd Arne Westad, The Third Indochina War: Conflict between China, Vietnam and Cambodia, 1972-1979 (London: Routledge Press, 2006). “Vietnamese Perceptions of the French-Indochina War” in Eds. Fredrik Logevall and Mark Lawrence,Indochina in the Balance: New Perspectives on the First Vietnam War. (Cambridge, MA: Harvard University Press, 2006). “The War Politburo: Vietnam’s Diplomatic and Political Road to the Tet Offensive,” Journal of Vietnamese Studies 1, nos. 1-2 (February/August 2006).